New tools are on-hand to survive on the world of Aberration, while opening up many possibilities for new competitive and cooperative scenarios. Traverse the ARK using cave-climbing picks, gliding wingsuits, and ziplines. Learn advanced Engrams to dominate the harsh environment, protect yourself with Hazard Suits, Charge Lanterns, Batteries, Glow Sticks, and much more. Thrive by gathering new resources, using fishing baskets, Gas Collectors, fortify your home within the caverns using cliff structures, and much more! Oil is harder to get, since other than the Trilobite Dung Beetle and rare Seeker drops, the only other natural source of Oil is at the Surface or in the much more difficult area beyond The Spine. But It can be dropped by Tek Dinos. Data containing Aberrant Megalania exist within game files, but has no spawn area as of current. This is due to a design choice in favor of Rock Drakes. All imported creatures without the Aberrant mutation and all Aberrant Creatures not included in the above list of those immune, as well as Tek Creatures, are also vulnerable. The most notable radiation-vulnerable creatures are Aberrant Ankylosaurus and Aberrant Doedicurus, due to their high utility in mining. You will need to feed them Mushroom Brew (Aberration)|Mushroom Brew every 120 seconds to keep them from suffering the effects of Radiation. All items from the base game are available on Aberration in addition to the items below. 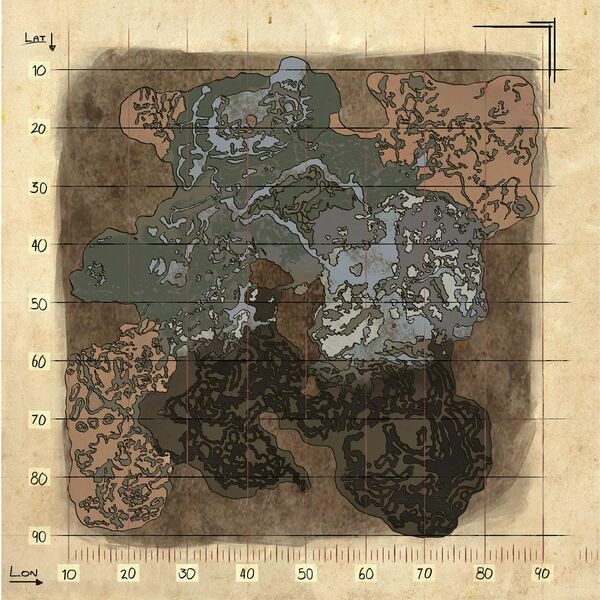 As Aberration is part of the story of the ARKs, Explorer Notes can be found across the map. These Explorer Notes document the ARK lore. For more in-depth information, see Explorer Notes. In addition to the Explorer Notes, Dossiers can also be found on Aberration, written by Helena Walker to document the research of the Aberration's creatures. For more in-depth information, see Dossiers. The Artifact of the Lost was added to the game with Aberration, but is not obtainable through legit means. Unlike the main game and the previous DLC Scorched Earth and like Extinction, this expansion pack includes mainly non-existent creatures from fantasy. (e.g: Bulbdog, Nameless, Rock Drake, and Reaper King) The only exceptions are the Roll Rat as it's based on the naked mole rat found in real life, the Lamprey as a real-life counterpart exist as well, and the Glowbug, which is based on the Firefly. Any flyer as well as Thylacoleo cannot be downloaded or used (unless spawned with commands) in Aberration, though Managarmr can. This page was last edited on 19 April 2019, at 12:57.